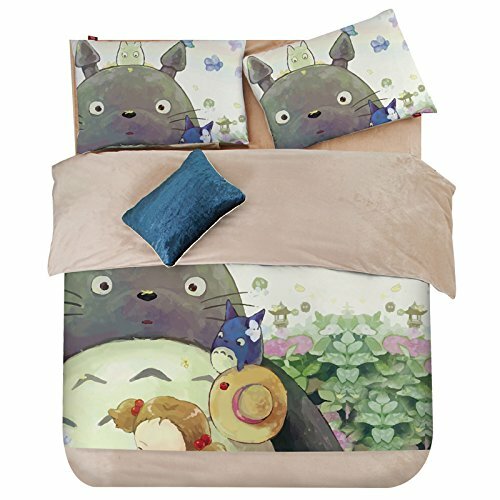 Best Anime Bedding Sets for Teens! Teenagers LOVE to watch anime all the time! Anime is a style of Japanese cartoons and films! Nowadays teens love everything ‘anime’ including their bedroom decor! *This is actually an ‘anime bed’! It is a Totoro giant sleeping bag! If you know what kind of anime your teens like to watch and their favorite anime characters, a cool anime bedding set might be a wonderful gift idea! Here are the coolest ones! Totoro is a ‘forest spirit’ who is supposed to guard a tree. 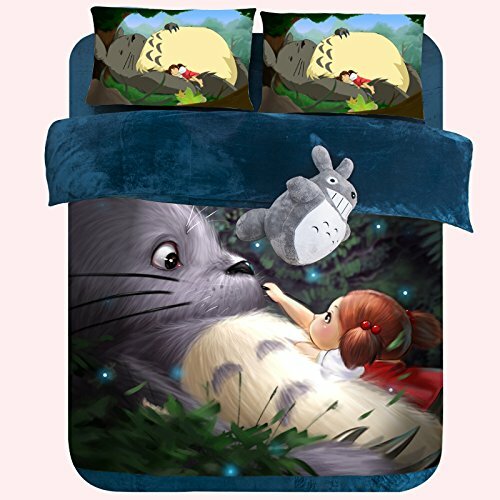 This is a fun 3D My Neighbor Totoro velvet bedding set for sale! I love the ‘night colors’! Imagine how soft it feels! This is a duvet cover set, so you will have to insert your own comforter inside. It is available in three sizes: twin, queen and king! Another cool Totoro themed velvet bedding set for teens! It is a Totoro painting! It comes with the pillow cases and sheets. 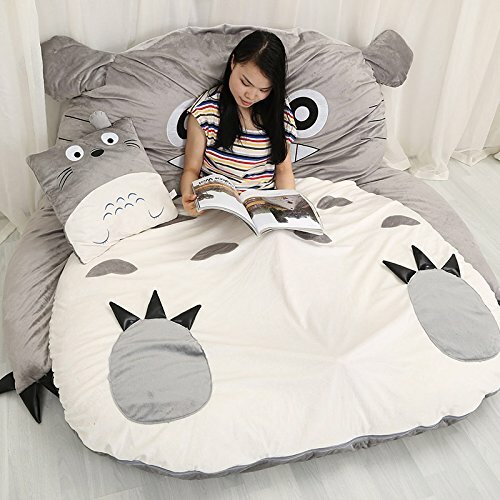 Just insert any old comforter inside the Totoro quilt cover! Very Cute Totoro Blue Bedding Set! 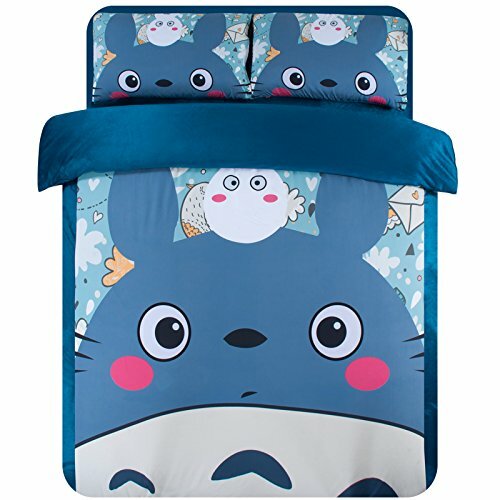 I couldn’t resist also showing you this cute Totoro blue bedding set! I love this bedding set because it is so colorful! What a cool bedding gift idea for your teen or pre-teen! 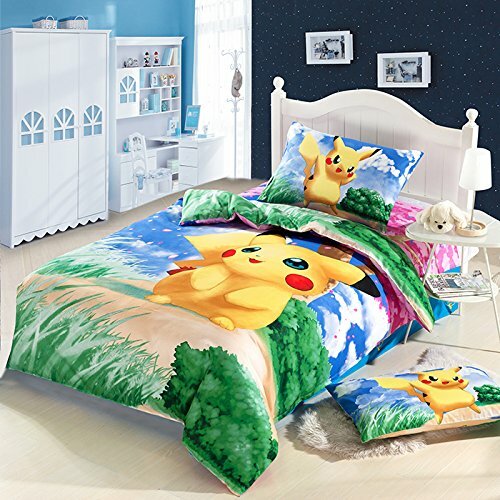 Japan Cartoon Anime Pokemon Pikachu 3 Piece Bedding Sets for Teens,Pikachu Bedding Set,Kids Cartoon Anime Bedding Sets. 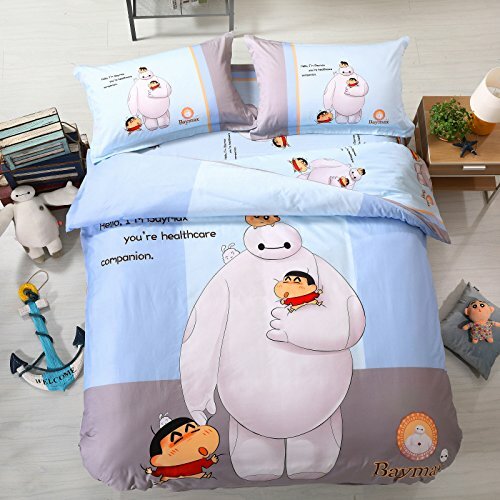 We can’t talk about the best anime bedding sets for teens without including one of our favorite anime characters ever! This is an awesome (and very colorful) Pikachu bedding set for sale! 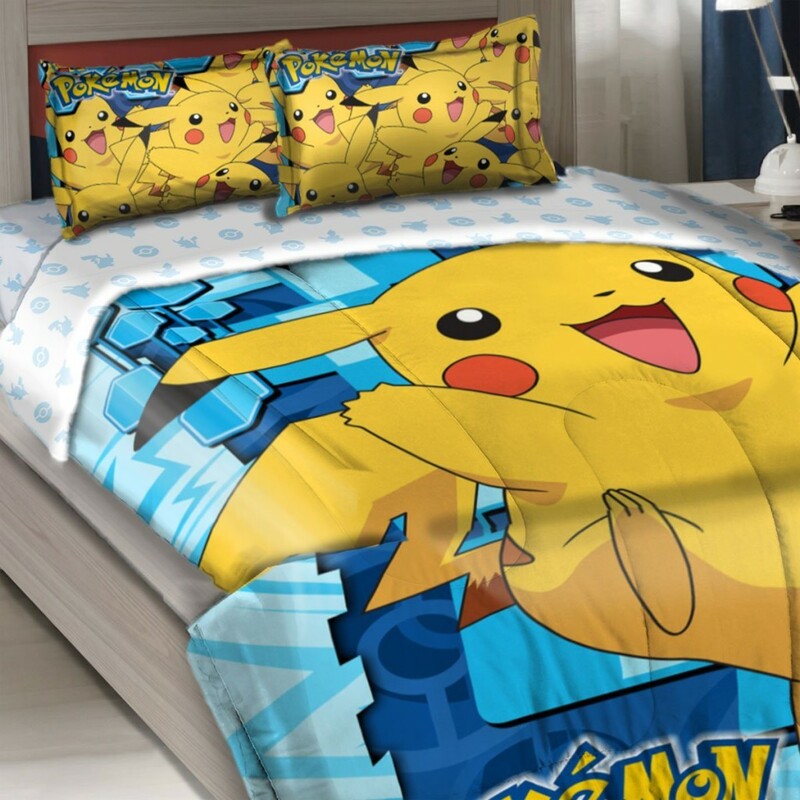 Fun Pokemon Pikachu Full Size Comforter Set! Another fun and very colorful Pokemon Pikachu comforter set for sale! I love the colorful Pikachu pillow shams! This one is the real comforter, not just a duvet cover. Very Unique Cartoon Anime Hatsune Miku 3 Piece Bedding Set for Teens! 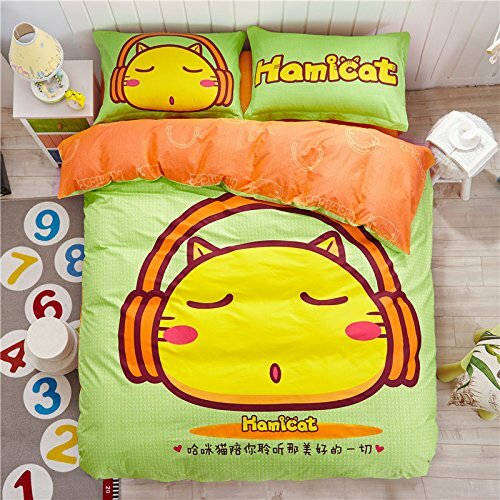 Unique Cartoon Anime Hatsune Miku 3 Piece Bedding Sets for Teens,Hatsune Miku Bedding Set,Kids Cartoon Anime Bedding Sets. This is a very unique and very cool Hatsune Miku bedding set for sale! It is a 3-piece set that includes the quilt cover, flat sheet and one pillow case. You will have to put your own comforter inside the cover. Awesome Cartoon Anime Crayon Shinchan 4 Piece Bedding Sets for Sale! 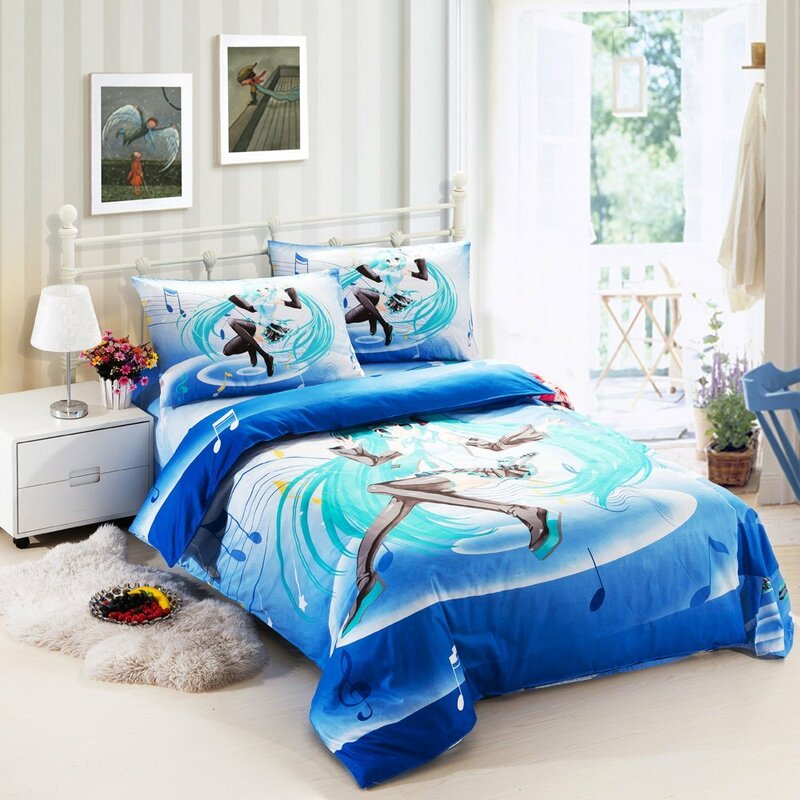 The Coolest Anime Bedding Sets for Teens! This is a fun and awesome 100% cotton cute Crayon Shinchan bedding set! 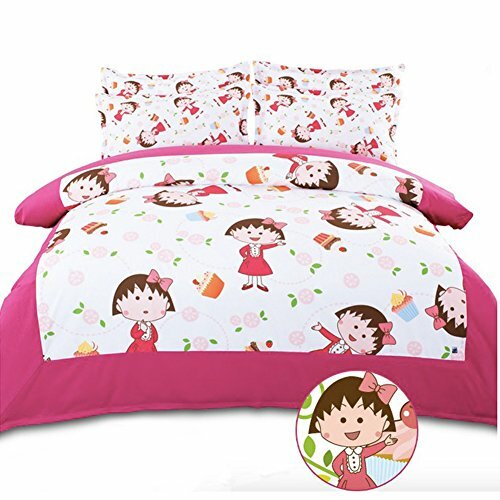 Very Cute Cartoon Anime Chibi Maruko 4 Piece Bedding Set for Teen Girls! This is one of the cutest anime bedding sets for teen girls around! It is a Chibi Maruko bedding set for sale! It is very girly, full of cute and delicious cupcakes! It comes with the two cute pillowcases, one quilt cover and one flat sheet. Very Cool Fairy Tail Anime Bedding Duvet Cover Set for Teens! 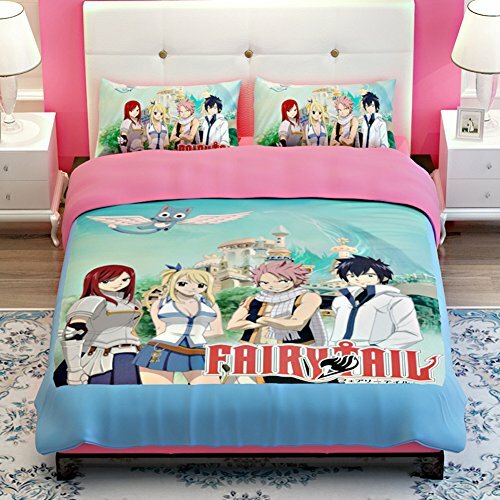 This is a very cool and very unique anime Fairy Tail bedding set for sale! Fairy Tail is also a very popular anime TV series in Japan! You can get this awesome bedding set in twin, full or queen size! Monkey D. Luffy is the star of ‘One Piece’, which is also a fun Japanese anime and manga series! 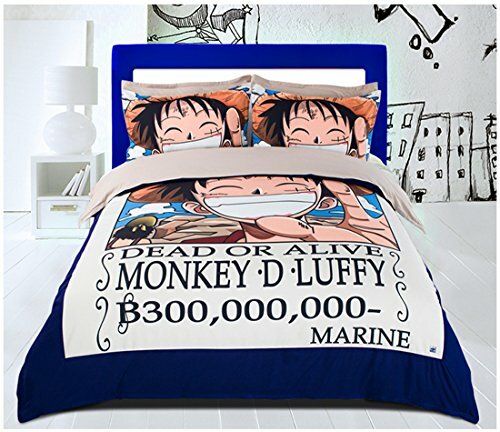 This is a very cool Monkey D. Luffy 4-piece duvet cover set for sale! Best Comforter Sets for Teenage Boys!